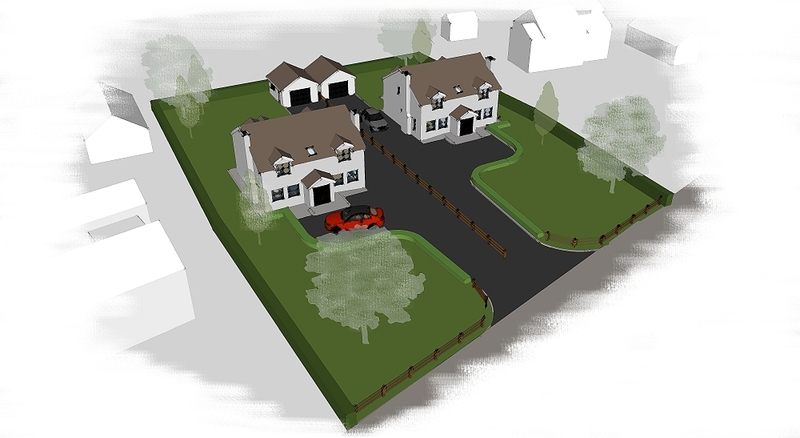 Project Details: Bespoke development of 10 new houses and associated site works. 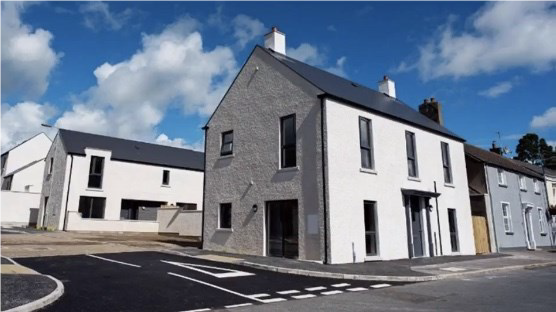 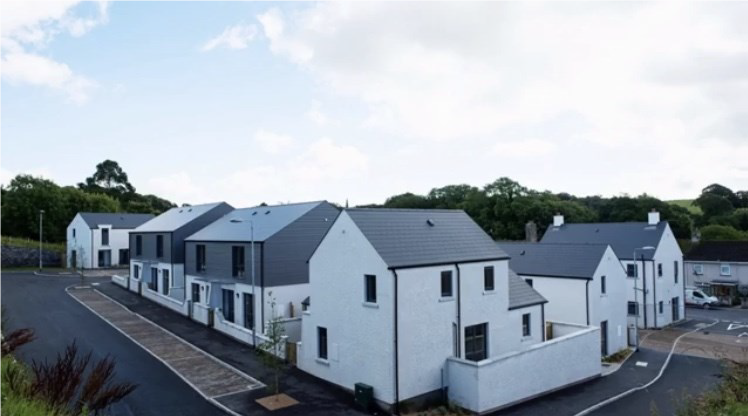 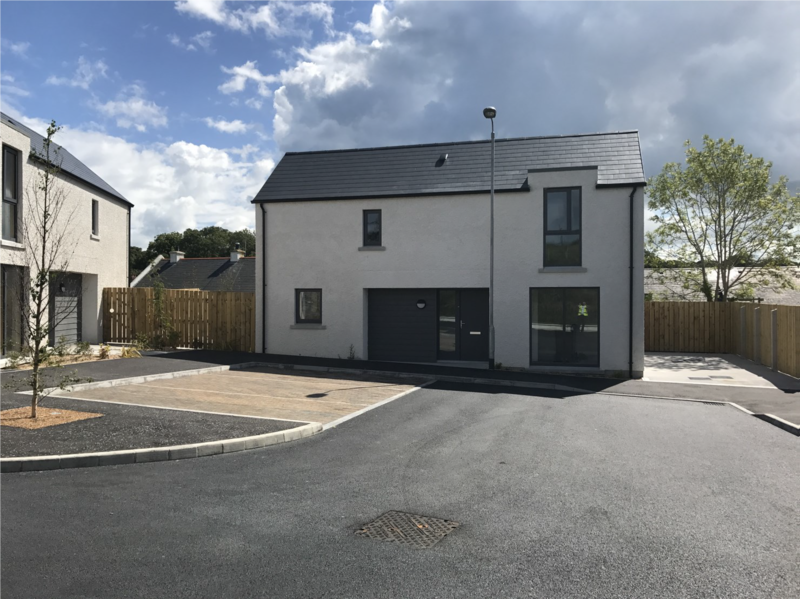 Appearance: Main Street, Greyabbey is a very modern, architecturally designed development. 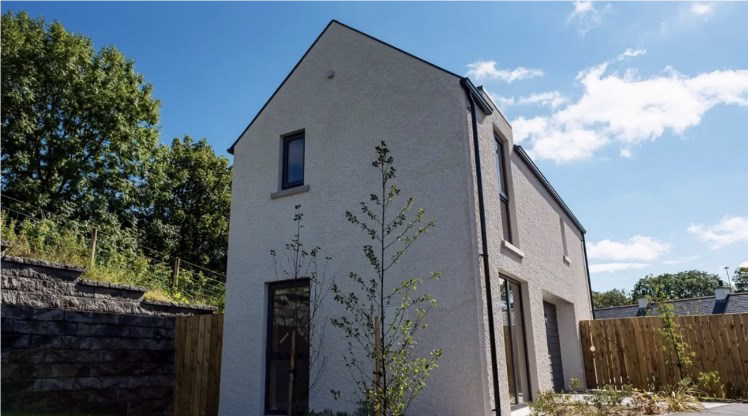 This was a conventional masonry built development. 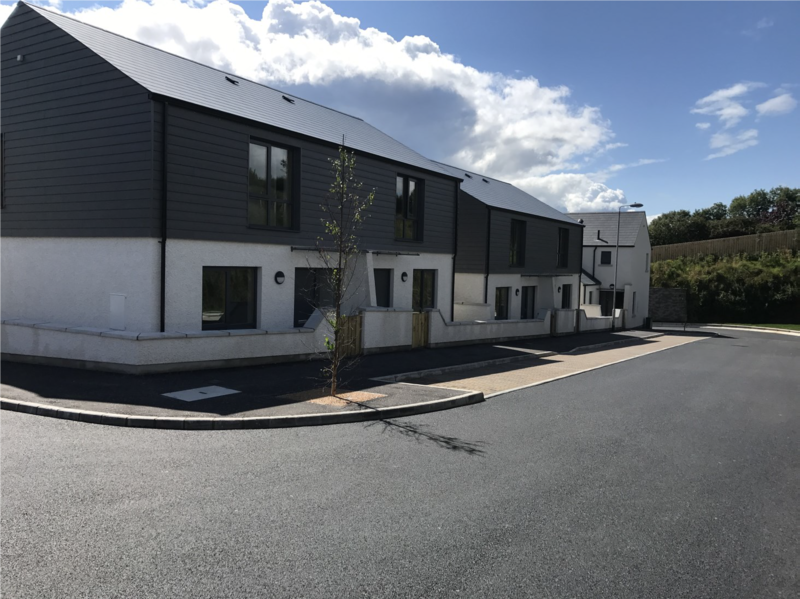 The finish was a mixture of white slap dash walls and fibre-cement cladding, fibre cement roofing slate and grey Alu-clad windows completed the project.